angela002 2 years, 10 months ago. Ismael is specialized in designing electrical systems (LV and MV) for commercial, industrial, and residential. Let his 5 years of experience enlighten you and read now the answer to how to specify medium voltage switchgear for industrial plant! 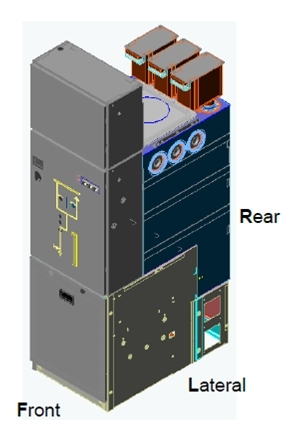 As Medium Voltage Switchgear often entirely enclosed within the building, it is paramount to specify the specification for its enclosure. IP code (Index of Protection or International Protection or Ingress Protection) state the environmental protection against the ingress of solid foreign objects and water. Operating Voltage is the voltage across the switchgear terminal. Rated voltage is the maximum voltage value which can be received to the switchgear/circuit breaker in kV rms. The rated voltage is higher than operating voltage. The ability of the switchgear to withstand overvoltage caused by opening or closing of a circuit. The rated current that can flow through the bus bar when the switchgear is in close position. IEC sets the maximum permissible temperature value not exceeding 400 C.
a) Withstand and operate the continuous operating current and overload. c) Withstand a short-circuit switching. d) Interrupt the no load currents without an excessive overvoltage (downstream open). Short circuit ratings which used in IEC standard are 25 KA, 31.5 kA, and 40 kA. Short circuit rating usually stated in 2 different capacity in times, 1 seconds and 3 seconds. The duration is associated with thermal withstand. The longer the duration, the longer the switchgear will able to withstand the short circuit. Ex: 40 kA for 3 seconds. It means the switchgear is able to withstand 40 kA short circuit for 3 seconds. Operating voltage is the maximum voltage value which can be received to the switchgear. For instance, if a switchgear has 24 kV operating voltage, it can be installed for up to 24 kV system. Momentary current is the maximum capability a CLOSED switch of the breaker to withstand rms asymmetrical current (usually for 10 cycles) including the dc component . For example, Transformer Inrush Current. Maximum interrupting Ampere is the highest rms current that can be interrupted by the breaker in any value of the voltage. For instance, a load interrupting switch which has 600 A interrupting rating means it will switch 600 A of current. Interrupting MVA is the products of the voltage multiply by the rated short circuit current. A – Restricted to authorised personnel only. Distance of indicator 300mm from panel. B – Unrestricted accessibility including general public. Distance of indicator 100mm from panel. C – Restricted by installation out of reach. The minimum admissible height of installation shall be stated by the manufacturer. “The Engineering Toolbox,” [Online]. Available: http://www.engineeringtoolbox.com/ip-ingress-protection-d_452.html. [Accessed 13 January 2016]. “Schneider Electric,” Schneider, [Online]. Available: http://www.schneider-electric.us/sites/us/en/support/faq/. [Accessed 12 January 2016]. Development of standards for MV Switchgear for Arc Flash protection, 2013. Schneider, Medium Voltge Technical Guide, Scheneider Electric Industries SAS, 2009. Any impressions? Leave a comment below. I AM INTERESTED TO INVEST WITH YOU IN YOUR PROPERTY/ESTABLISHMENT IN YOUR COUNTRY WITH TOTAL TRUST BUT HOPE THAT YOU WILL GIVE ME TOTAL SUPPORT,SINCERITY AND COMMITMENT.PLEASE GET BACK TO ME AS SOON AS POSSIBLE SO THAT I CAN GIVE YOU MY PROPOSED DETAILS OF FUNDING AND OTHERS.